With emerging technology driven business models, continuously reducing margins and growing competition, we’ve evolved quickly with Disaster Recovery strategy. ZMOS’s comprehensive suite of DR Services, backed by world-class infrastructure and end-to-end managed services, ensures that your mission critical systems continue to be available and responsive under the most adverse of circumstances. ZMOS’s agnostic approach enables to create a plan and process based on the recovery strategy dictated by the business. Be the part of our business partner with the expertise, national footprint and standardized processes you can rely on in the event of a disaster. Why ZMOS Networks Disaster Recovery Services? 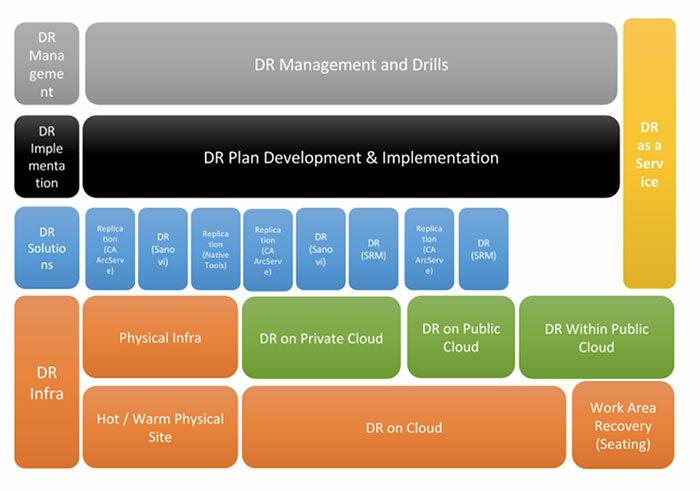 Wide variety of IT infrastructure models to deploy DR system. Structured approach to DR planning and consulting, including business analysis, assessment of mission critical workloads, utilization & performance needs, platforms, security, etc.